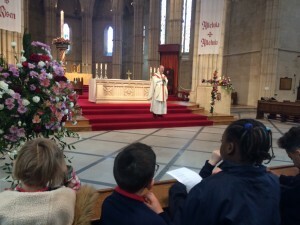 On Wednesday, the whole school went to the Cathedral to celebrate the Mass of the Risen Lord. A huge thank you to all parents and members of our parish comity who donated flowers which then decorated our cross. 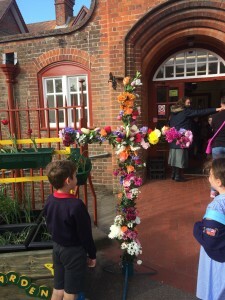 The cross was taken down to the cathedral for the Mass, paraded back to school and stood out the front so that all who passed could witness that we are ‘Easter People’. Children took part in the mass by doing readings, singing hymns and leading the prayers of Intersessions. Thank you to all who helped to bring the mass together. 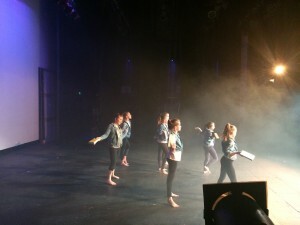 Dancers from Year 5 and 6 took part in the Dance House Performance at The Alexandra Theater on Tuesday 25th April. It is a local Arts driven initiative dedicated to supporting and encouraging the development of innovative and exciting dance. 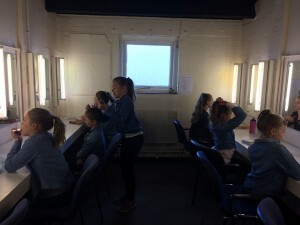 One of their aims is to provide performance opportunities for young people outside of the classroom and to experience the workings of a professional theatre. The Dance House evenings celebrate the hard work, commitment and skill of young people within our vibrant community. It is an opportunity to share their dance work with an audience, as well as other schools, in a positive collaboration with professional artists and theatre technicians. The girls performed really well and represented the school to the highest standard. 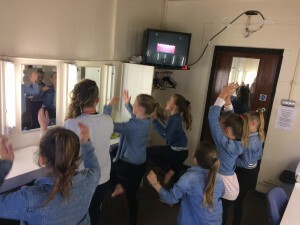 Thank you to Charlie Ranken – our dance club teacher – for choreographing the piece and lending so much support to the girls. Year 4 told the school the story of the trail and it was all done through poem and song that Mr Caws had written. 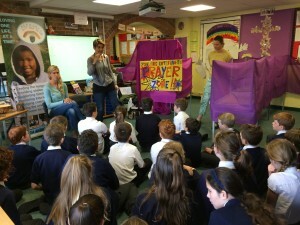 It was very moving and the children loved every minute of it. 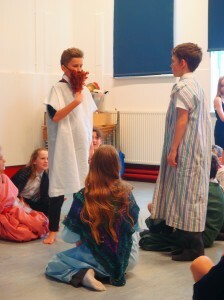 Year 6 then told the story of the crucifixion. We then sang the final part of ‘Were you there’ and after Jesus was buried in the tomb, the whole school left the hall in silence for the Easter Break. 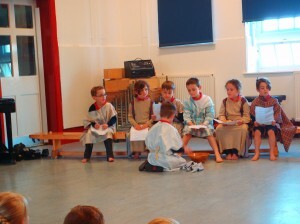 On Thursday 6th April, Year 3 showed the rest of the school their Holy week Liturgy of The Last Supper. 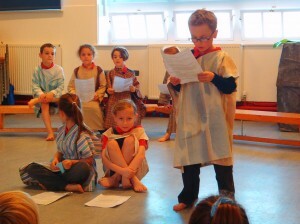 On Wednesday, as part of our Holy week liturgies, Year 2 showed the rest of the school the part of the Easter story where Jesus washes the feet. 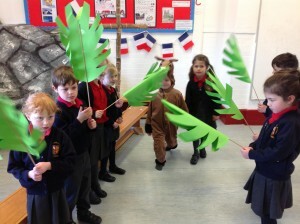 Jesus and His disciples were getting ready for the Passover Festival. Jesus knew that it was almost time for Him to leave His home on Earth and go back to Heaven. While they were eating dinner Jesus had a lot of things on His mind. He knew that one of His friends was going to betray Him. He also knew that God had a plan and had everything under control. 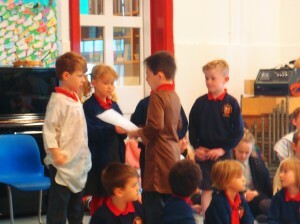 On Tuesday’s Holy Week liturgy, Year 5 retold the story of the anointing at Bethany and Year 1 Acted out the Betrayal of Jesus. The whole school then sang ‘Thirty pieces of silver’ written by Mr caws. 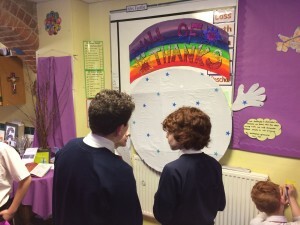 Last Friday, the whole school was fully immersed in a day reflecting and nurturing their spirituality and sense of wonder. 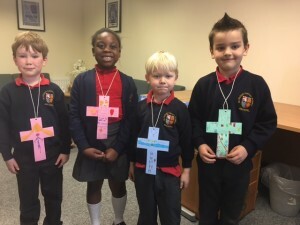 Workshops included children writing prayers, learning about refugees, making religious bookmarks and hearing about mission work in South Africa. 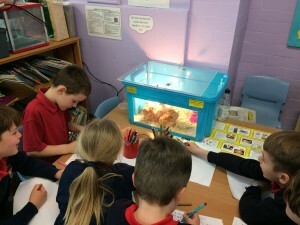 The children experienced four workshops and had the chance to work with different teachers and adults including volunteers from Yapton Free Church. This was an inclusive day where all children and adults were given the opportunity to further develop their spiritual relationship with Christ. Many thanks to all involved and those who gave their free time to help organise and run the day!